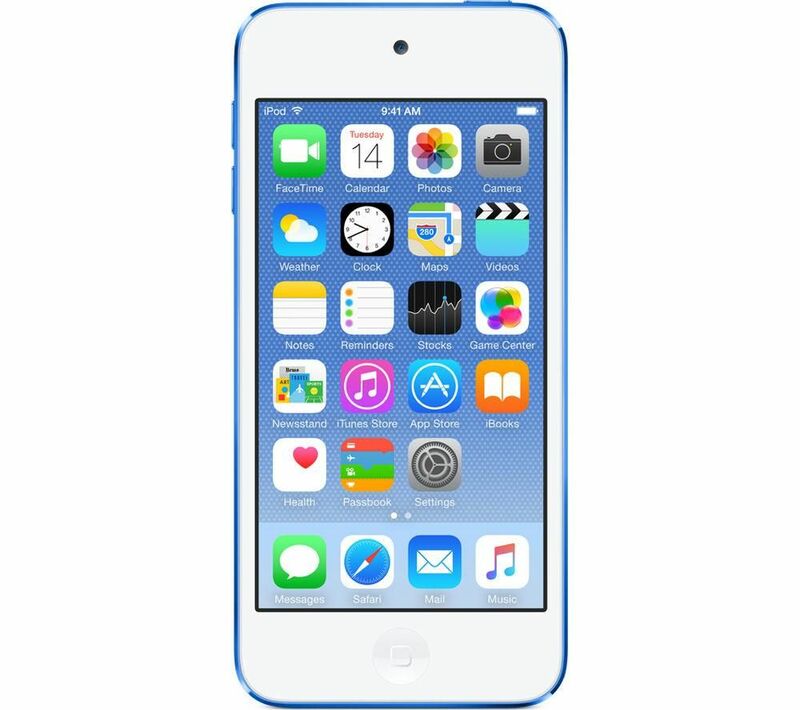 The 6th generation 128 GB Apple iPod touch in blue is the ideal portable music and entertainment device. Load it up with your favourite songs and apps for more fun on the go. 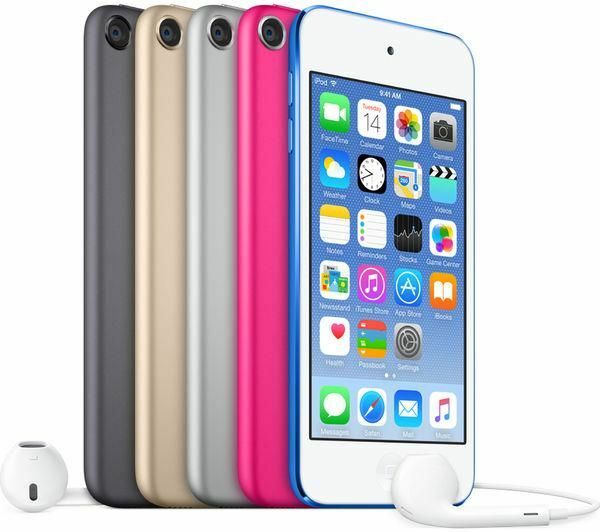 Driven by Apple's desktop-class A8 chip and 64-bit architecture, the 6th gen iPod touch can perform up to 10 times faster than the last generation iPod touch. This means you'll enjoy more vivid, responsive graphics for your mobile games and smoother, more immediate response from the CPU. 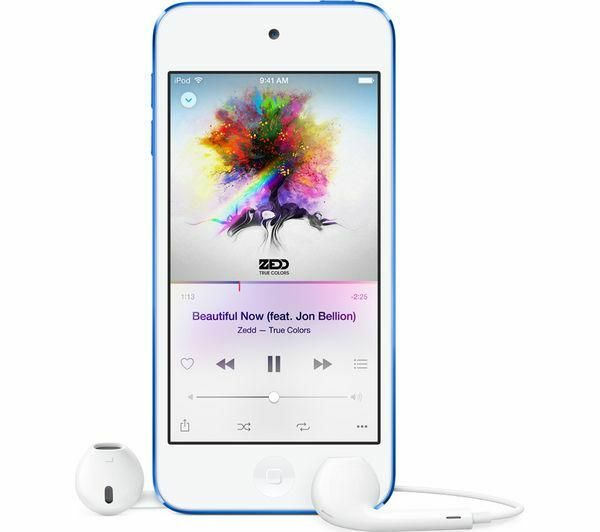 This new iPod still offers the same great battery life, allowing you to listen for up to 40 hours or watch videos for up to 8 hours off a full charge. 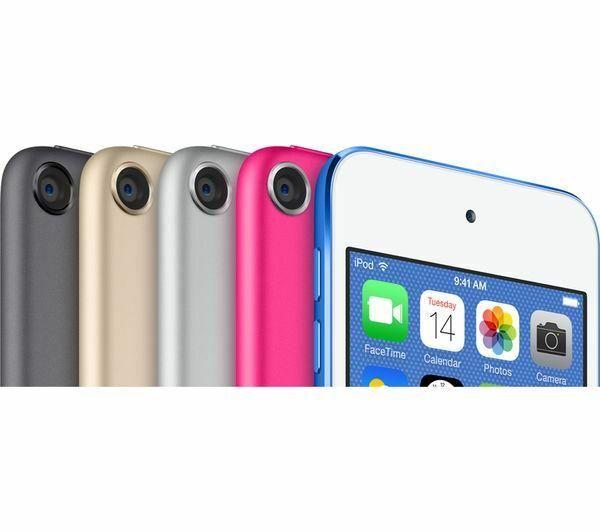 Your iPod touch is able to deliver even more with iOS 8 – add your voice and video to messages, make photo edits in no time and even monitor your health. It's much easier to type with predictive text, and access to tools and apps is deeper and broader than ever. Support for 802.11ac gives you WiFi speeds up to three times faster than with 802.11n. When you're connected to a WiFi network, FaceTime calls, messaging, photo sharing and downloading games and music is so simple. There's a great range of powerful apps built into the iPod – iMessage lets you send unlimited texts over WiFi, while FaceTime lets you stay up close and personal with friends and family via video chats. Use Instagram to capture and share awesome moments as they happen – share them directly on Facebook and Twitter. Surf the web using Safari. Whether you're playing games, browsing a playlist or looking at friends' photos, everything looks crisp, vivid and lifelike. HD films and TV programmes can be perfectly rendered in widescreen too. 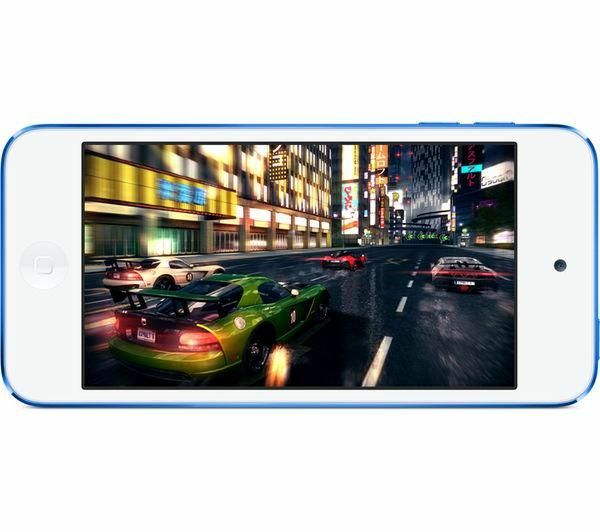 With the improved 8 megapixel iSight camera and FaceTime HD camera, you'll be able to take incredible photos and videos using your iPod touch. Enhanced noise reduction and face detection makes for cleaner, more compelling portraits and scenic shots. There's a slow motion feature that lets you shoot HD video at 120 fps in 720p – it's even possible to record and select the section you want to slow down. With Burst mode you can take awesome self and group portraits by continuously capturing 10 photos per second. 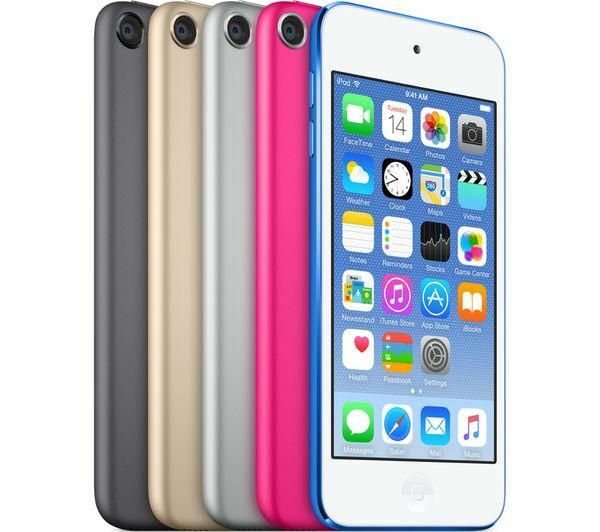 The iPod touch analyses every shot in real time to compare sharpness and clarity - even picking up if someone's eyes are closed – and then suggests individual frames or sequences you might like best. 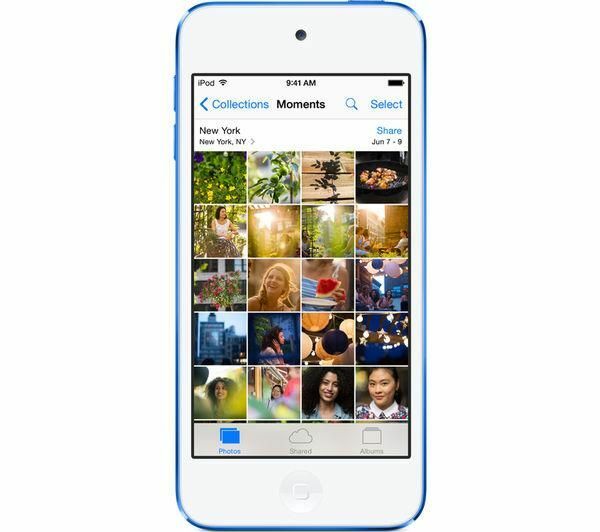 Access to iCloud Photo Library means you can easily edit and share photos on all your devices. 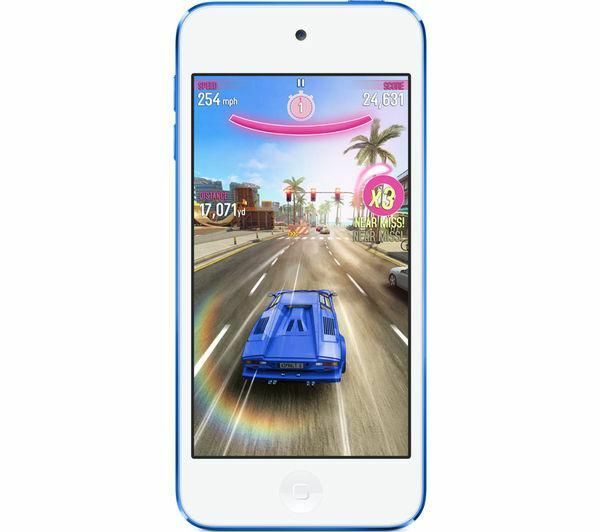 Enjoy music and entertainment on the go even more with the 6th generation 128 GB Apple iPod touch. It’s lightweight and easy to use. Sound quality is alright. Apple music and own library combined and easy to add from apple music. Bluetooth sync not automatic to my devices. Every time it connects to my car it turns shuffle off. I want shuffle on all the time and it doesn't allow it. Too many gadgets - it isnt a phone!